It’s all because of a combination of a decrease in collagen production and the cumulative damage to our skin cells over the years. But it’s not all lost; if you’re eager to restore the youthful qualities in your skin, then there is a solution. Our skin has protected us all these years; the least we can do is help it heal and recover. With treatments like the fractional laser, you can rebuild the skin without sacrificing your comfort or needing to undergo a long recovery. Fractional laser skin resurfacing is an advanced type of laser treatment that’s gentle on the skin and doesn’t require any kind of downtime. By delivering laser energy to select parts of the skin, you can strike the perfect balance between a powerful treatment and a comfortable one. 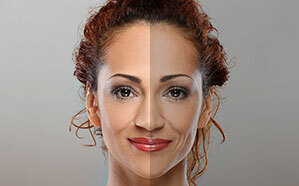 After fractional laser skin resurfacing, our patients can look forward to a glowing complexion, firmer, younger looking skin with less wrinkles, and an even skin tone. The fractional laser works by delivering small, columns of energy into the skin. These columns only affect a small portion of the skin (hence, the “fractional” moniker), so the surrounding skin remains unharmed. The surrounding skin still reacts to the columns of energy, and they respond by increasing collagen production and stimulating cell turnover. In the course of 6-9 months, the older, damaged skin cells are replaced by younger, firmer skin cells, and the collagen stores in our skin strengthen. Gradually, our patients should see younger, firmer skin emerge. By preserving large portions of the skin, the fractional laser is much gentler for the skin and allows for a quicker recovery. There is no extensive recovery period required after fractional laser skin resurfacing. There are some mild side effects, like redness and discomfort, that are associated with the treatment. Depending on the intensity of the treatment and the health of your skin, you might experience the redness for a week or longer. You will also experience some crusting in the skin for three days. If needed, the redness and crusting can be covered with makeup during the first few days of the healing process. Some downtime, about a few days to a few weeks, might be required after the treatment; it will depend on the quality of your skin, your age, and the extent of the skin resurfacing. If you’d like to know more, Dr. Machida can give a more in-depth explanation during your consultation. With advanced technology, you can have the best of both worlds: convenience and a powerful treatment. If you’d like to know more about our fractional laser, contact Second to Creation in the Inland Empire now for a consultation. 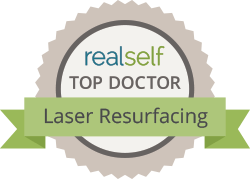 Who’s the Ideal Candidate for Fractional Laser Resurfacing in the Inland Empire? The fractional laser is safe and versatile enough to be used for a wide variety of patients. In general, the ideal candidate for a fractional laser is someone in good health who wants to regain softer, smoother, and younger looking skin. Patients who undergo the fractional laser typically want to reverse signs of aging and other damage to the skin. The ideal candidate should also have realistic expectations for what fractional laser resurfacing can do. Fractional laser skin resurfacing is quite tolerable. 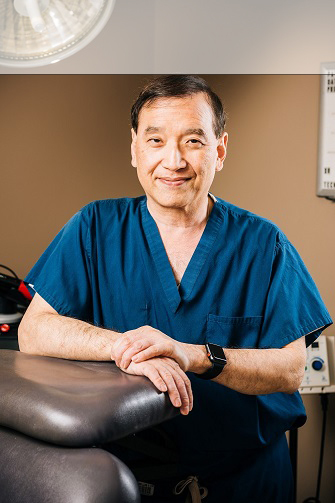 If needed, Dr. Machida can provide local anesthesia to make sure the patient is as comfortable as possible during the treatment. Many of our patients see a substantial improvement after one treatment, so in most cases our patients only have one treatment. The intensity of the treatments will vary from patient to patient, but it typically depends on the condition of the patient’s skin and their aesthetic goals. The results of fractional laser skin resurfacing are incredibly long-lasting. They can last even longer if you care for your skin, limit sun exposure, wear sunscreen, and practice a powerful skin care regimen. You can also maintain your results by undergoing regular treatments.